Administrative leave is solely for the purpose where an investigation in necessary or where someone has pending criminal charges. 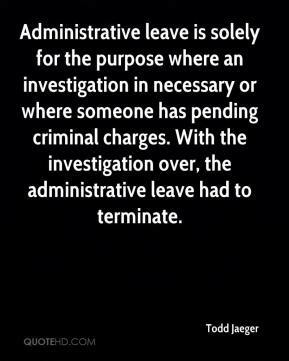 With the investigation over, the administrative leave had to terminate. 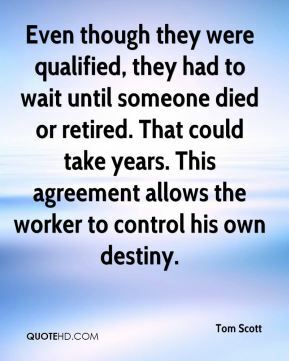 In the long run, he'll end up picking someone who followed his rules. He's not picking somebody because he can jump real high. 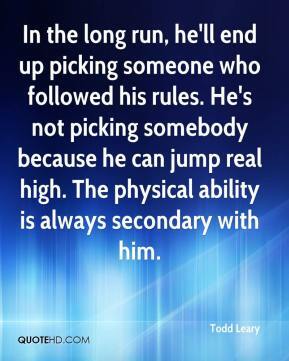 The physical ability is always secondary with him. 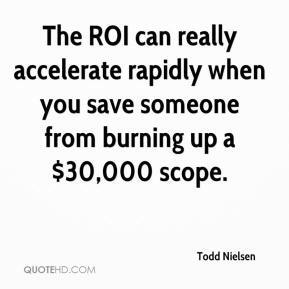 The ROI can really accelerate rapidly when you save someone from burning up a $30,000 scope. 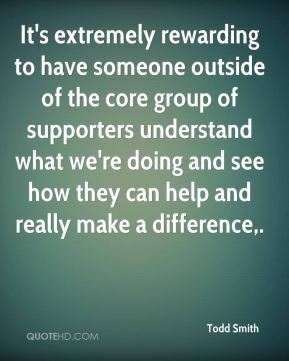 It's extremely rewarding to have someone outside of the core group of supporters understand what we're doing and see how they can help and really make a difference. 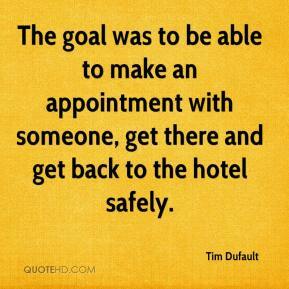 The goal was to be able to make an appointment with someone, get there and get back to the hotel safely. I want someone with a national reputation. I want somebody who is a good manager of people and who is a change agent. I think the one-term governor hurts transportation more than anything else because if you change out secretaries of transportation and VDOT commissioners on a four-year cycle you just don't get the continuity you need on the transportation side. 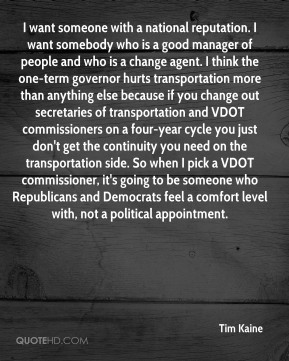 So when I pick a VDOT commissioner, it's going to be someone who Republicans and Democrats feel a comfort level with, not a political appointment. 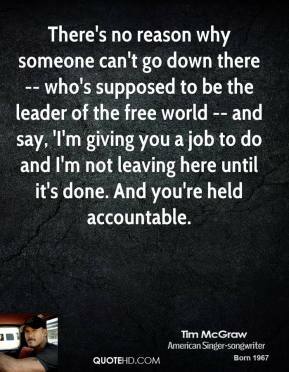 There's no reason why someone can't go down there -- who's supposed to be the leader of the free world -- and say, 'I'm giving you a job to do and I'm not leaving here until it's done. And you're held accountable. 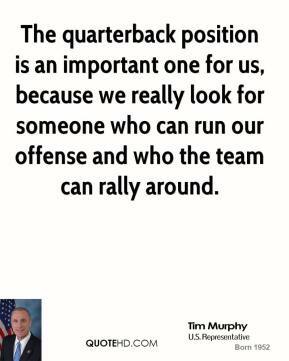 The quarterback position is an important one for us, because we really look for someone who can run our offense and who the team can rally around. Basically, someone picked up the wrong file and sent the wrong letter. 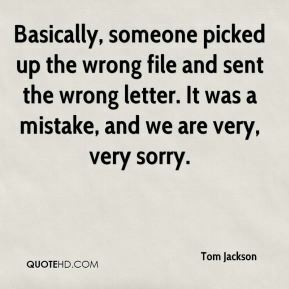 It was a mistake, and we are very, very sorry. 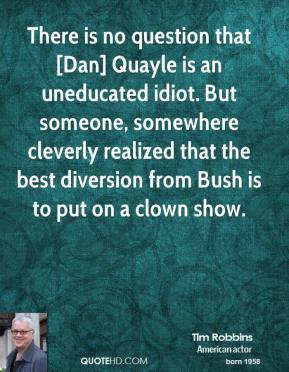 There is no question that [Dan] Quayle is an uneducated idiot. But someone, somewhere cleverly realized that the best diversion from Bush is to put on a clown show. 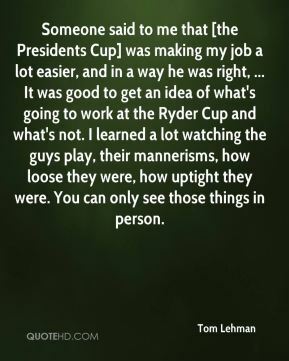 Someone said to me that [the Presidents Cup] was making my job a lot easier, and in a way he was right, ... It was good to get an idea of what's going to work at the Ryder Cup and what's not. I learned a lot watching the guys play, their mannerisms, how loose they were, how uptight they were. You can only see those things in person. You have this thing you hang your faith on, this little bit of proof. 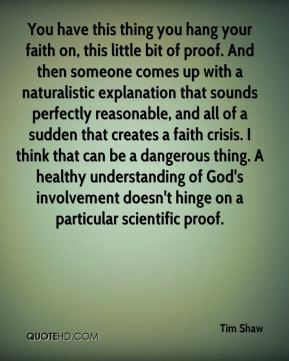 And then someone comes up with a naturalistic explanation that sounds perfectly reasonable, and all of a sudden that creates a faith crisis. I think that can be a dangerous thing. A healthy understanding of God's involvement doesn't hinge on a particular scientific proof. 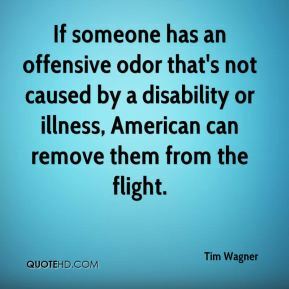 If someone has an offensive odor that's not caused by a disability or illness, American can remove them from the flight. 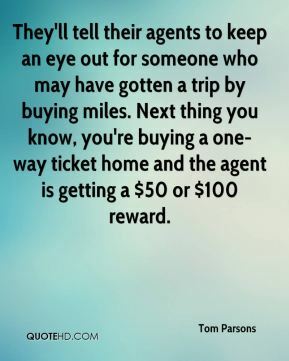 They'll tell their agents to keep an eye out for someone who may have gotten a trip by buying miles. Next thing you know, you're buying a one-way ticket home and the agent is getting a $50 or $100 reward. Simply try to turn your next conversation with someone who is negative into a more positive moment. See what happens. 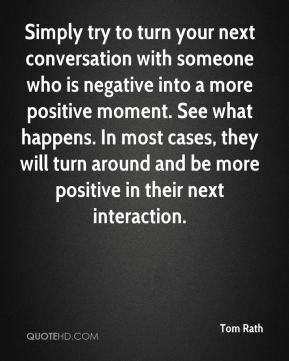 In most cases, they will turn around and be more positive in their next interaction. We feel very fortunate to have acquired someone of Sandy's tremendous reputation and experience in the institutional markets. 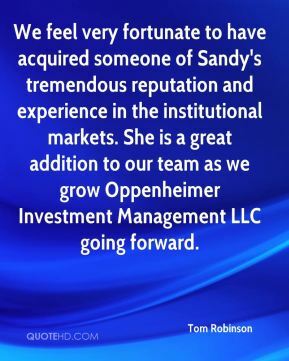 She is a great addition to our team as we grow Oppenheimer Investment Management LLC going forward. I don't want to be dragging myself on stage, year in year out, until someone else tells me it is time to go ... 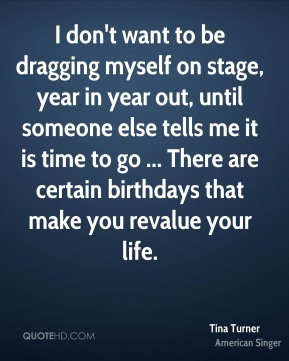 There are certain birthdays that make you revalue your life. 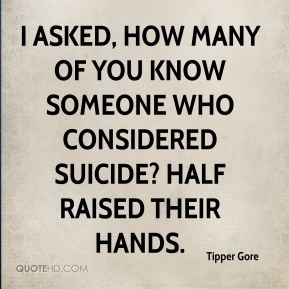 I asked, how many of you know someone who considered suicide? Half raised their hands. I am shocked ? shocked! ? to learn that someone living in Berkeley is unhappy with our Republican governor. 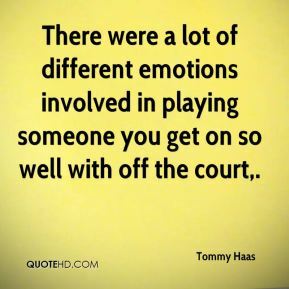 There were a lot of different emotions involved in playing someone you get on so well with off the court. 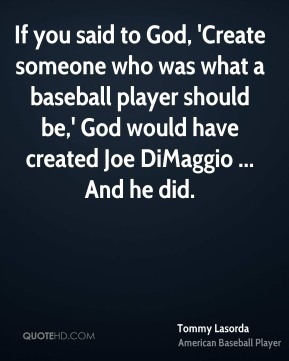 If you said to God, 'Create someone who was what a baseball player should be,' God would have created Joe DiMaggio ... And he did. I kept telling them that someone was going to get ahead of us and then exploit our weaknesses. I think they already had it in their heads that oh yeah, we're going to beat this team. 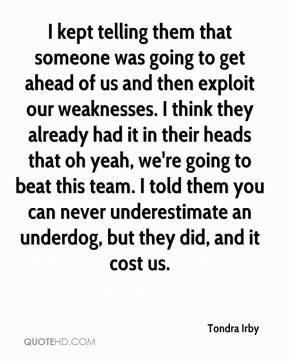 I told them you can never underestimate an underdog, but they did, and it cost us. 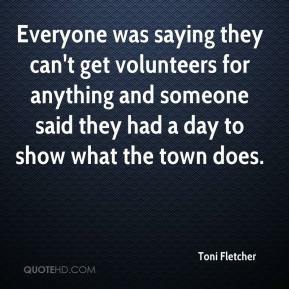 Everyone was saying they can't get volunteers for anything and someone said they had a day to show what the town does. 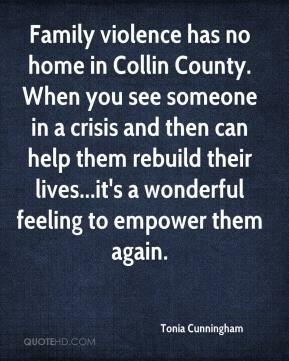 Family violence has no home in Collin County. When you see someone in a crisis and then can help them rebuild their lives...it's a wonderful feeling to empower them again.